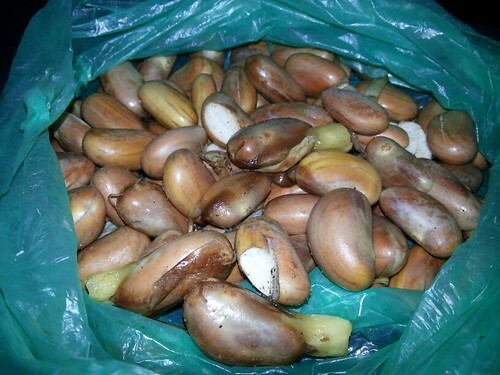 Chakkakuru also spelled Chakka Kuru is the Malayalam term for Jackfruit seeds. Chakka is Jackfruit in English. In Kerala, India, all the different parts of Jackfruit can be made into a delicious dish, such as the seeds, the raw and ripe meat and the white part which surrounds the meat which are made into fritters. 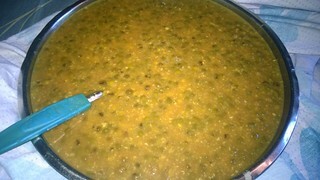 Picture below is uncooked Chakkakuru which is called Buto ng Langka in the Philippines. Buto and Langka, is the Filipino word for Seed and Jackfruit, respectively. 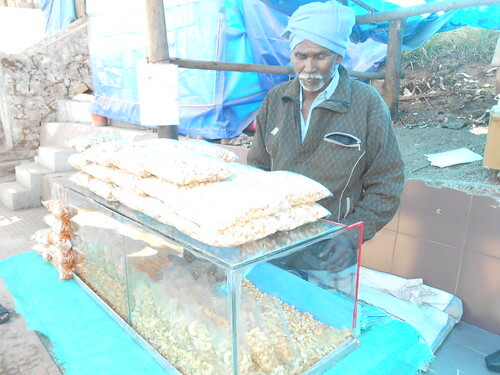 In Allepey, Kerala, India, I saw that Chakkakuru are available for sale in many variety shops. Hence, they are always available even without buying Chakka. The first time, I saw them displayed in a variety shop, I was amazed, later I realized they are made into savory dishes. 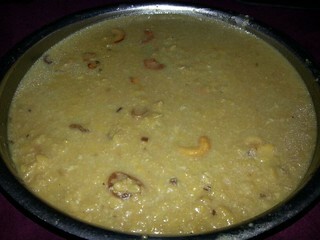 Sometimes, some housewives cook Cherupayaru Payasam with condensed milk for extra creaminess. Fresh coconut milk can also be susbtituted with Coconut milk in cans or Powdered coconut milk which are now available in groceries and foodshops all over the world. Cheemeen/Cheemen/Chemeen Olarthiyathu (Shrimp Stir-Fry) refers to one of the foods from Kerala, India. It is made of shelled shrimps or prawns stir-fried or cooked with plenty of sliced onions and lots of spices sucn as turmeric, cumin, black mustand seeds (Kadugu), Masala and of course Curry leaves . Cashew Apple is the name of the Cashew fruit in Kerala, India. 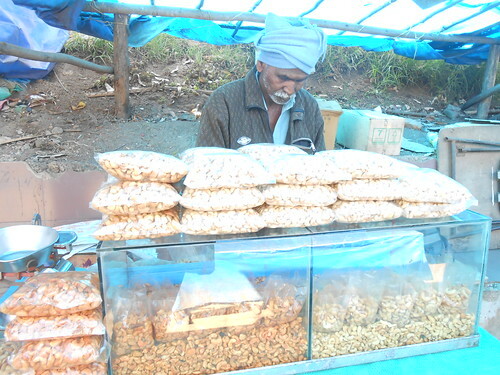 Cashew nut which is a by-product of Cashew fruit is an important product from Kerala. 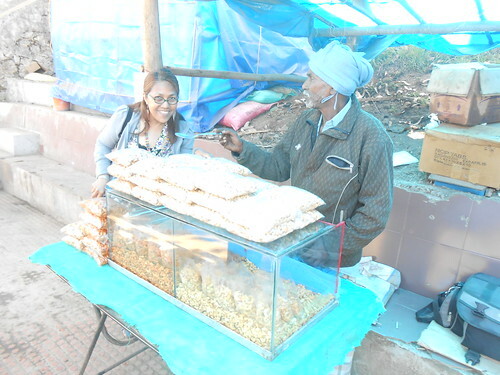 The nuts is an important ingredient for their sweets called Payasam and they are also sold as fried with salt or with or without Masala powder. 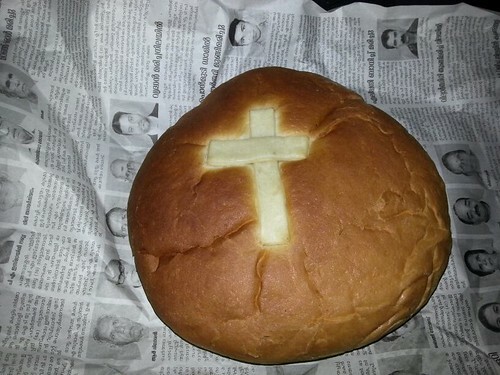 It is said to be called also as Pesaha Bun because it is generally made on Maundy Thursday (Pesaha Vyazham in Malayalam). 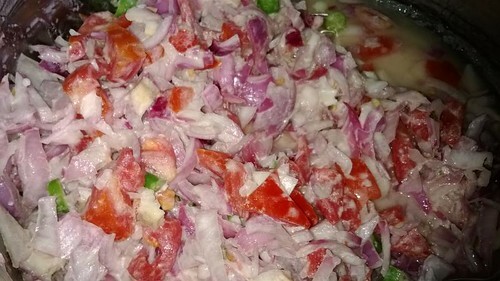 Charlas also spelled Charllas or Saarlas refers to South Indian salad made from mixture of slices of fresh cucumber tomatoes, onions, chilies and curd. Some are also using Vinegar as dressing instead of curd. 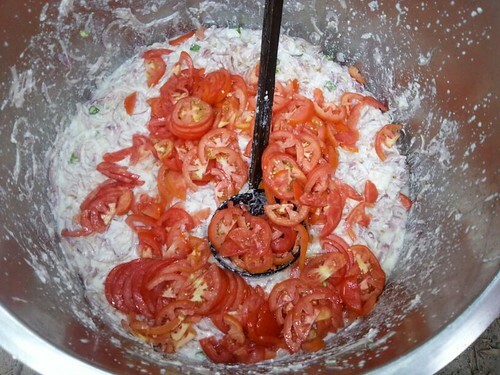 Below are pictures of plain Charlas with just small slices of onions, tomatoes and cucumber and Charlas with curd which is often prepared as part of a meal for important occassions in Kerala, such as Wedding, first Communions and other important festivals . 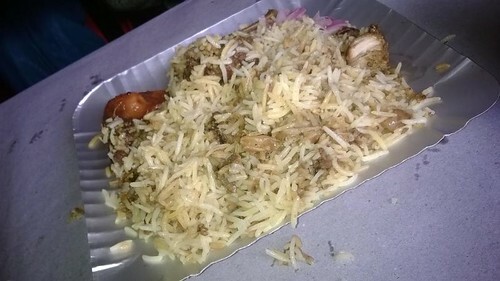 Food from Kerala, India: Chicken Roast.